James "Dutch" Michael Crawford was born April 29, 1938 in Marseilles, Illinois to parents Matthew Joseph and Laura Maurine Hill Crawford. Dutch grew up on his family's farm where he picked up skills from his father who was a horse trainer. When Crawford was a child as fate would have it, a small circus began wintering on Dutch's grandparents' farm. 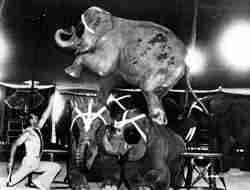 Dutch would watch the animal handlers as they fed and watered the elephant, camels and horses. At that point in time his mind was made up, someday he would join the circus. Dutch finished high school and the serve in the United States Navy, then he followed his dream and began his circus career. 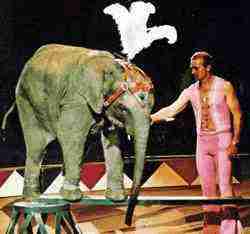 Dutch had a natural ability with animals and an outgoing personality which made his animal acts a sensation. 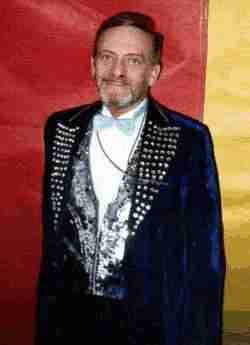 During his career he performed as animal presenter and ringmaster on many circuses including, Carson & Barnes , Kelly Miller, Vargas and Hoxie Bros. Circus. 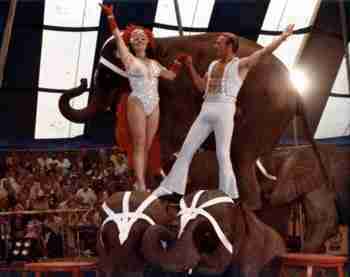 After leaving the circus business in the 1990s he went to work for trucking company in Oklahoma. James "Dutch" Michael Crawford died March 16, 2013 in Tulsa, Oklahoma, he was 74.